Salem, USA, February 2017 -- Seica will be exhibiting at the Apex show held in San Diego this year showing our expanding lines of test and assembly equipment. The automated Pilot4DV8 will be showcased fully automated in a batch line environment. The automated solution will demonstrate a magazine and conveyance solution that will allow customers to load different board part numbers for automated testing. Industrial automation software will be discussed with those interested in full production line monitoring with Seica’s new ‘standalone’ software that can be integrated with not only Seica equipment, but SMT line equipment, ovens, pick & place systems, X-ray and vision systems. Seica equipment and software are all Factory 4.0 ready. For those interested in RF measurements using a Flying Prober, Seica Inc. was awarded a place in the exhibition hall, specifically for OEMs with newly released innovated solutions showing our high frequency measurement solution. This has been Seica’s 4th award at Apex for its innovated product advancements. The Compact line will show several solutions for production line testing, from ICT , to automotive and RF functional testing. Seica will show 4 products; Compact TK, Compact Multi, and both, the Mini 80 and Mini 200 benchtop ATEs. From very simple ICT testing with a few 100 channels to our high density solutions that perform combination testing, Seica has a robust, easy to maintain, and easy to use solution for your production lines. 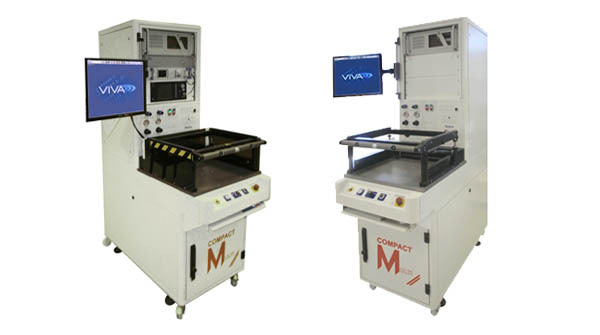 New for the show this year will be our top and bottom selective laser soldering system, the Firefly. This unit is ideal for automotive, high production through put and mil/aero applications. The Firefly is unique in that it requires no nitrogen and can be easily changed from lead to no-lead applications in under 5 minutes. The power consumption of our laser solution is far less than traditional molten solder solutions and easier to maintain and set up. The Firefly can also be easily integrated into assembly lines and a retrofit kit is available for 3rd party integrators. In regards to automation there will be a selection of loaders and unloaders shown. Specifically, the Firefly will be set up with an input magazine and unloader. Under the name of “Seica Automation”, our sister division produces board conveyance systems for our own equipment but for full production lines that may not use Seica equipment. Seica Automation equipment includes, handlers, buffers, loaders, magazines, label applicators, vision inspection cells and rework cells, and all types of board handling solutions under the model names of FLO (standard) and FLEX (custom) Seica is also able to customize a solution for your challenging board handling requirements. We will also have a counter to discuss your test services or data regeneration needs. Seica is staffed with a talented crew of test service providers and professionals who can assist with your prototype testing or production needs. We will gladly provide a quotation for your staff to review. New for 2017 is Seica’s line of distributor products, such as the Modus GmbH, AOI conformal coat and THT inspection system, and SMH flash programming solutions. The Modus system is unique in the market due to its LED scanning system and high resolution capability. Its ability to detect contamination is unprecedented on the market. The need in both the automotive and mil/aero markets are increasing due to the number of product recalls ongoing in 2016. Please stop by our booth # 1933 and visit with any number of our sales managers or application team for a demo.